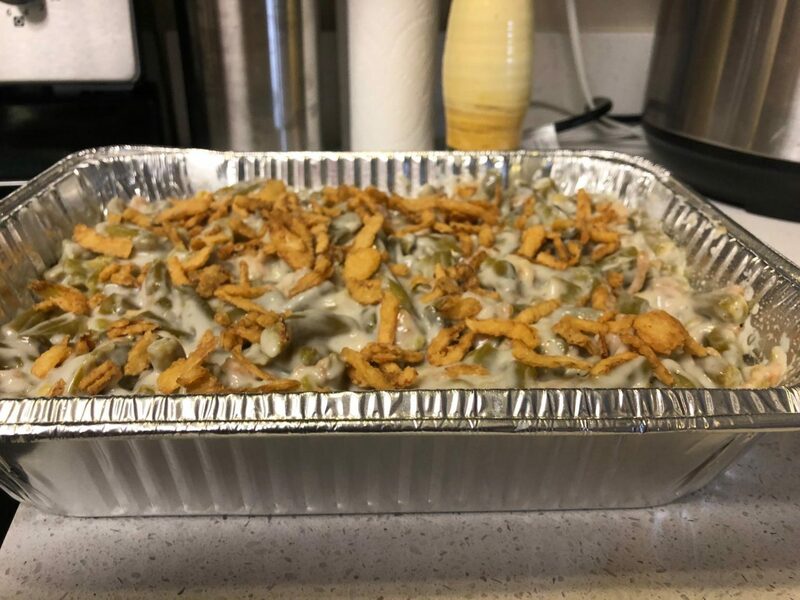 Thanksgiving time is coming, and if you want the whole Thanksgiving feast experience, then you have to try my mom’s green bean casserole recipe. This recipe for green bean casserole is absolutely divine and can be paired with any other classic Thanksgiving dishes, such as turkey and mashed potatoes.You simply can’t have a proper Thanksgiving feast without this creamy casserole. The recipe is fast and simple which makes it almost impossible for a beginning cook to mess up . In a medium-sized bowl, stir the soup and milk until smooth; mix green beans, black pepper, and ½ of the crispy onions. Pour mixture into pan, bake 30 minutes uncovered. Pour remaining ½ cup on onions and bake five minutes more uncovered.